What is ‘Arcology’? It is a concept introduced by architect, Paolo Soleri, who defined it in his book Arcology: City in the Image of Man; the idea of a fusion between architecture and ecology and an ecological vision in response to city growth. 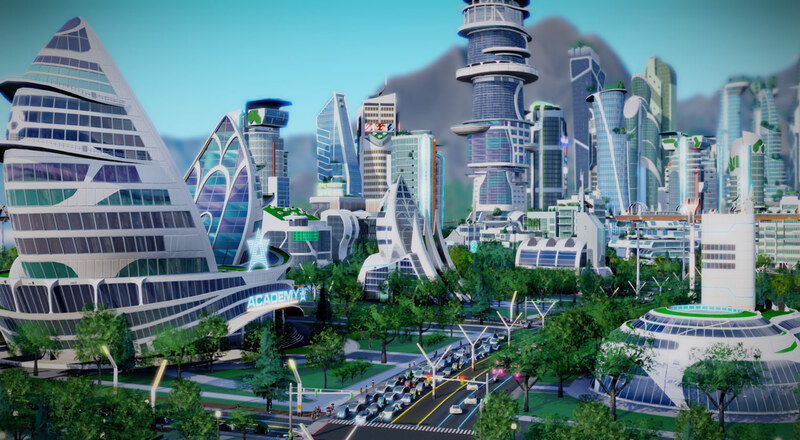 The premise of an arcology is to be a self-sufficient, green building that is more of a small town as a result of its size and the number of services it houses. The inhabitants of this ‘small city’ would benefit from services such as waste management, power generation and transport as part of the same development. The concept was created as a solution to one of the serious problems faced by modern society: the overcrowding of cities as the result of population increase and the consequent loss of natural environments. Thus, this new wave of architecture opts for vertical growth, with the construction of huge skyscrapers that occupy the least space possible, as well as making a commitment to minimizing environmental impact. Arcology buildings would, thus, meet all the essential living requirements; able to generate their own energy, produce their own food, control air and water quality, and support sustainable waste management. In addition to the provision of all services in the same vertical space, the buildings would also do away with cars, thereby reducing pollution and carbon emissions. We cannot know what path the architecture of the future will take but one thing we do know is that, according to United Nations predictions, there will be 9.7 billion people living on our planet by 2050, that figure rising to 11,200 by 2100. For now, we will just have to wait and see what measures will be taken and how architecture will consequently respond to the challenge.